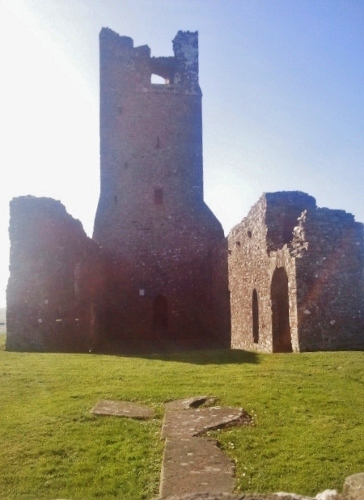 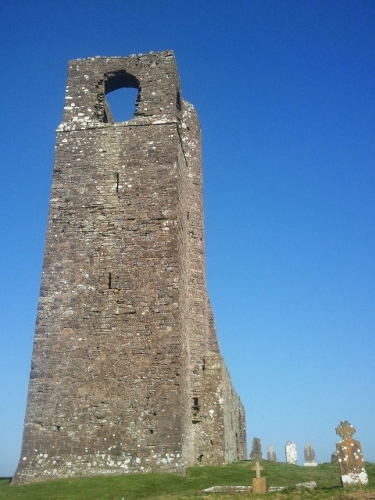 On top Skryne hill overlooking Tara with its tower that can be see for miles is the remains of this Church that today dates back to the 15th Century, though there are parts of the building dating back to the 14th Century. 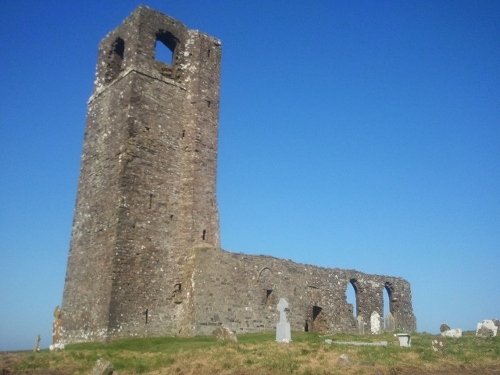 The shrine and relics of Saint Colmcille (aka St. Columba) were moved to this site in 875 for safe keeping, this is how the place gots its name derived from the Iris Scran Choluim Chille. 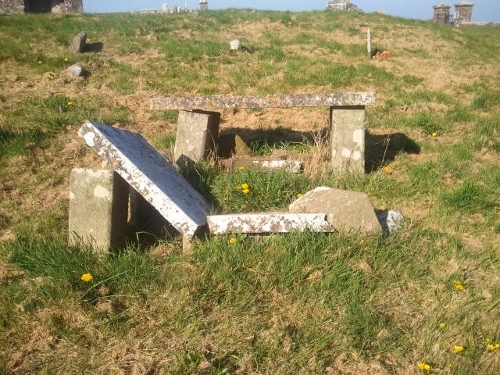 Though this was not too successfull as the site was raideed several times in the 10th and 12th Centuries(They later managed to recover the shrine). 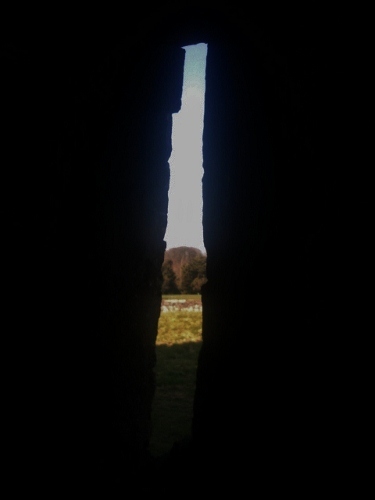 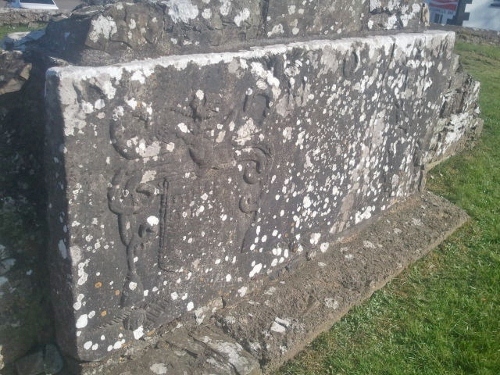 Inside the gate is the weathered 16th Century tombstone of the Marward family the barons of Skryne. 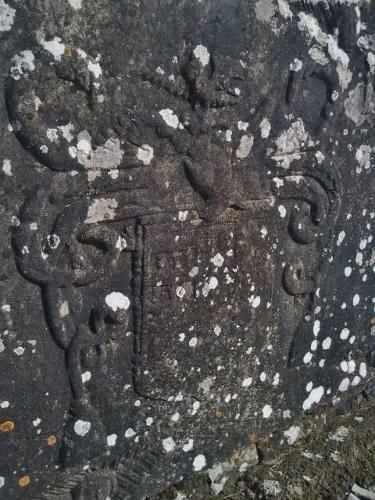 Close up of the coat of arms on the tombstone. 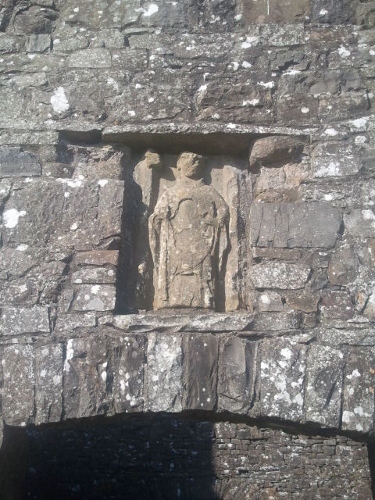 Carving of a 14th century bishop over one of the doors. 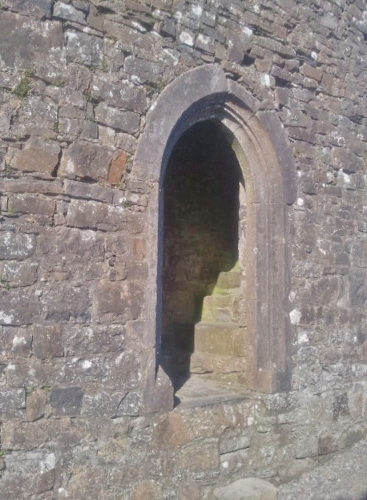 View through a window on stairway. 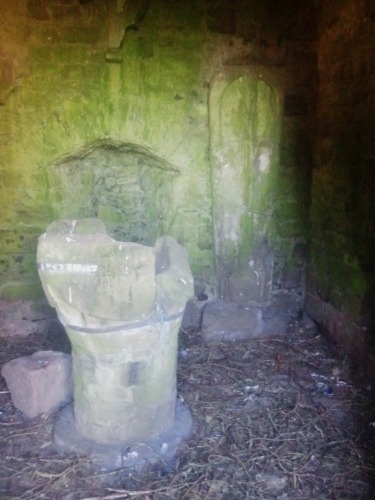 Stone babtismal font and carved tomb slab to the right of it inside the tower. 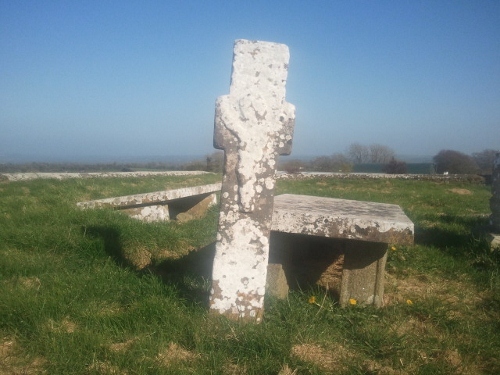 Carved medieval stone cross in the graveyard.